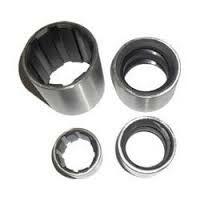 We are manufacturer of Rubber Bearing with liners. These Rubber lined bearing is used widely in manufacturing pups like submersible pumps & other pumps like CI, MS, Gunmetal as the requirement details provided by our customers. These product is a quality rubber liners.